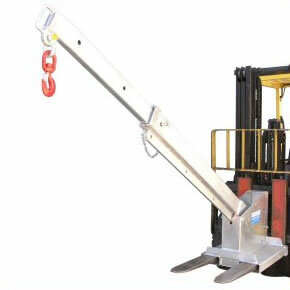 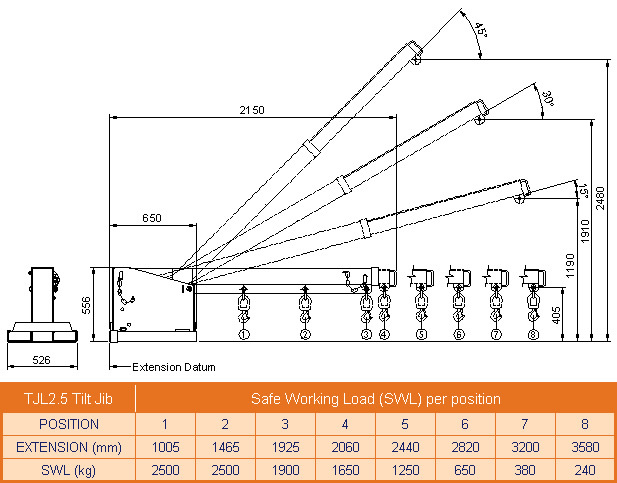 The type TJCL25 Tilt Jib (Long) is designed with a tilt facility allowing extra height to compensate for the hook and sling length lost when lifting with jib attachments. 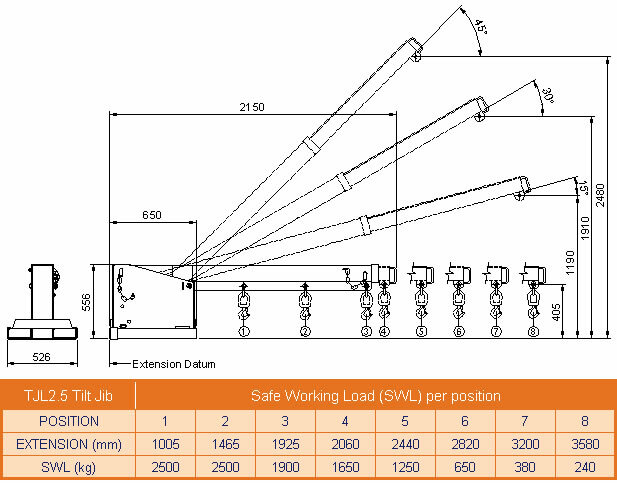 A maximum of 2.48 metres can be gained while the Jib can be fully extended to 3.58 metres. Simply slide onto the Fork Tines and secure with safety chain.